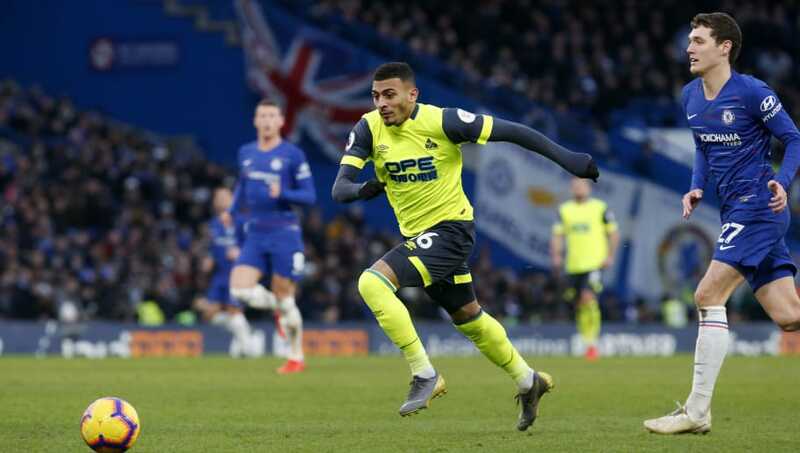 ​Huddersfield Town's January signing Karlan Grant isn't quite ready to start in the Premier League, according to boss Jan Siewert. The 21-year-old striker joined from Charlton Athletic at the end of the January transfer window for £2m, but his new manager believes Grant needs time to adapt to his style of football and the demands of the top flight. As quoted by the ​Examiner Live, Siewert explained why Grant was only named as a substitute in ​Saturday's 5-0 defeat to ​Chelsea: "Karlan needs time in terms of physicality and getting used to the game and to my game. "I am glad that he showed already why we signed him but, starting? That would have been too early for this game." Grant came on at Stamford Bridge with 23 minutes to go, the Terriers 3-0 down, but Siewert was satisfied by his new signing's impact. "I think he showed he was looking forward and had some good moments. He has to work to continue, but I am happy with that." ​Huddersfield have scored just 13 goals in the ​Premier League this season while Grant alone has 14 to his name from his time in League One, but the new manager from Borussia Dortmund II believes the English striker couldn't have been thrown straight in on Saturday.  We see you on @OfficialFPL , @karlangrant. 樂 Could #htafc's new man make your #FPL team? When asked about whether Grant was ready to start, he responded: "Not yet. Town are rooted to the bottom of the league, six points behind 19th placed ​Fulham and are preparing for a visit from ​Arsenal this weekend.